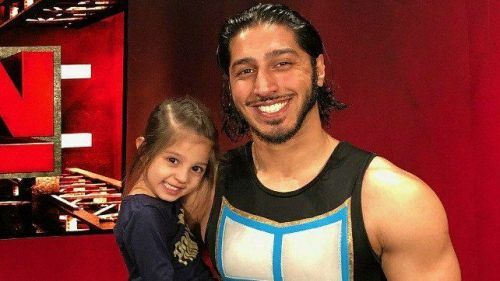 WWE SmackDown Live Superstar Mustafa Ali recently shared his take on his daughter becoming a professional wrestler. Ali replied to the question with a tweet stating "No one has a right over a dream". Mustafa Ali has emerged as one of the most exciting high-flyers from the 205 Live brand. Last month, he was set for a push on the blue brand but an injury took Mustafa out of the gauntlet match on the go home show of SmackDown, before the Elimination Chamber PPV. Ali's spot was given to Kofi Kingston, who made the most of this opportunity and tore the house down in both the gauntlet and the Elimination Chamber matches. As of this moment, Kofi is involved in the top storyline on SmackDown Live, that is bound to lead to him getting a WWE title shot at The Show of Shows against Daniel Bryan. Mustafa Ali recently stated that Kofi deserves the spot he's in, given how hard he has worked for the past 11 years. Ali is regarded by fans as not only an excellent wrestler but an exceptionally wholesome human being. The Superstar replied by stating that no one should get to force someone out of their dream. Although Ali's fans are saddened by the fact that his spot went to someone else, there's not a shred of doubt that the high-flyer is bound to have a bright future on Tuesday nights. What are your thoughts on Mustafa Ali's views on his daughter possibly becoming a professional wrestler? Sound off!